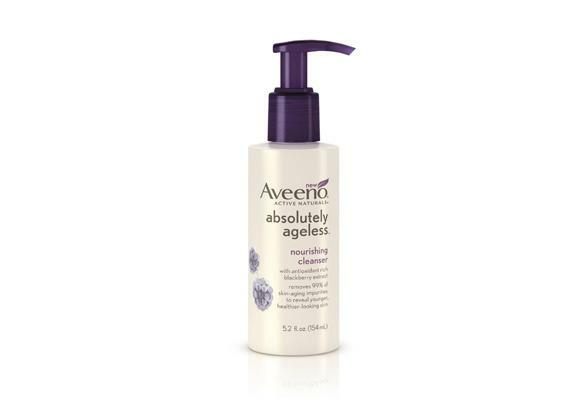 AVEENO® ABSOLUTELY AGELESS® NOURISHING CLEANSER is rated 3.8 out of 5 by 19. La humedad entra, las impurezas salen. 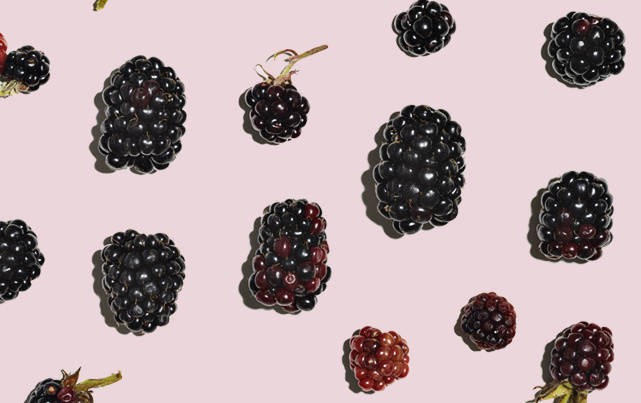 Esta fórmula rica en antioxidantes elimina el 99 % de las impurezas que envejecen la piel, como el polvo, el aceite y el maquillaje. Incluso ayuda a preservar la barrera que conserva la humedad natural de tu piel, para que te sientas más hidratada con cada lavada. Aplica el limpiador para formar una espuma y masajea sobre la piel húmeda. Enjuágate y sécate con palmaditas. Rated 5 out of 5 by Anonymous from I love the way my face looks and feels I have been using this product series for the past year and love the results, one problem I am not being able to find the cleanser in any stores. 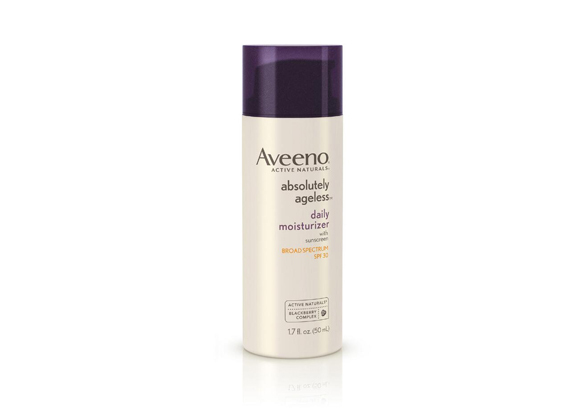 Rated 1 out of 5 by lucyvanp from Way too drying I love Aveeno products, but this cleanser made my face feel like all the moisture had been stripped away. Had to use multiple applications of heavy night cream just to feel normal again. Also has a bitter chemical smell to it. Rated 2 out of 5 by Tania from Irritated my skin I regularly use Aveeno products and particularly like the Ultra Calming Night Cream and Ultra Calming Foaming Cleanser, which I use every day. I travel a lot and in Ireland they have the Ultra Calming Day Cream without SPF, which I buy when I'm there. I tried this to try something different, but after a few days my skin was red, dry, and irritated. It smelled nice and seemed to clean my skin, but it was definitely irritating and not calming, at least for me. 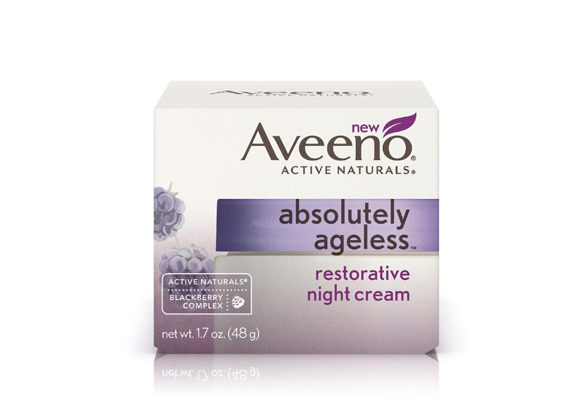 I will stick with the other Aveeno products. Rated 5 out of 5 by AadenHunt from as I've said before, it's a super great product! :) Also bought this one as I've bought all of them available. Such a great product :) . I'm fully stocked up . Even bought some for family members because it works so great. Rated 2 out of 5 by lmmatz from Smells good but very drying. Dried my skin out and made it feel chapped. However, it smells good and the pump on the bottle worked well. Rated 3 out of 5 by facegirl from Too drying I feel that this product cleans my skin exceptionally well, but completely dried it out.